*This is a sponsored post. As we prepare to bring a second child into the world, I’ve been thinking a lot about the values that I want M and her sister to grow up with. 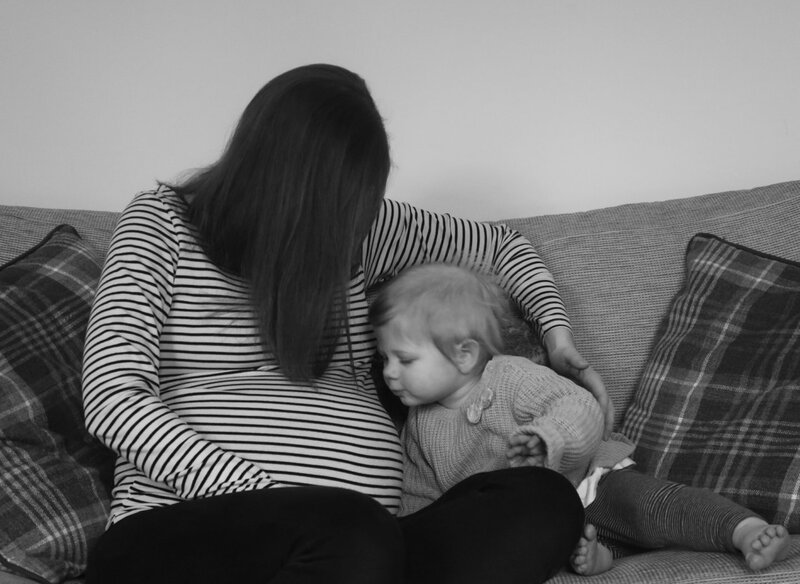 So, I’ve reached out to some of my fellow bloggers to find out from them, some of the values that they’d like to instil in their children, and added a few of my own! There’s a myth that nice guys finish last, but I always think that nice, kind people end up being happier in the long run. Emma, The Freelance Lifestyle. Always be humble and kind (which is actually a song by Tim McGraw but I find country music has so many good and strong messages). Just be nice. It doesn’t cost you anything but your small act of kindness can make such a huge difference in someone’s day, week year or even life. If anyone came to me and told me that my children were kind children, I think I’d die with pride. I don’t care what job they do, who they love or how they dress… as long as they are nice to others. Leslie, Messy Blog UK. I don’t know if it’s a value but ‘always do the washing up before you go to bed’ – there’s absolutely nothing worse than waking up to a sink full of dirty dishes! Sarah, Toby Goes Bananas. It’s not selfish to look after yourself too. Make sure you know how to take care of yourself physically and mentally. Chelle, Free Spirited. I think it’s important for our children to learn to be grateful for what they have – teaching them that spending time together is much more important than material things and that it’s always good to give back to those in need. Donating toys to charity or just doing something nice for someone out of the blue to show you care. Amanda, Mrs Warburton. Always give up your seat if you see someone who needs it more. Becky, The Mummy Adventure. Manners cost nothing. You will be surprised at how much a a smile or a please and thank you can make someone’s day as well as make the world a better place. Sarah, Boo Roo and Tigger Too. I think this is something that we need to instil in our children from an early age, firstly by setting the example ourselves. Children need to understand that alcohol is not something to be abused, and they never want to be in a position where they’re vulnerable as a result of alcohol or worse, having to call drink driving lawyers because they’re done something horribly irresponsible to harm others. I think it’s really important to try and assume that people are acting with positive intentions rather than being wary and looking for negativity in what people say and do. Hannah, Budding Smiles. Hard work is important. Nothing comes for free, you need to work for it. Whether that’s working hard at school to get the grades you need for uni or working hard in a job to get a promotion or pay rise or even working hard at home so that you can stay at home to raise your babies. Leslie, Messy Blog UK. You don’t have to be the first person to do everything or have everything. Take life at your own pace and always try to better yourself, but without comparing yourself and what you have to what other people have or haven’t got. It’s one of the things we are really hoping to instil in Elian, at the moment we are simplifying our lives and teaching ourselves not to compare to others as everyones situation is different, but I still want him to have ambition and drive for himself. Chantele, Two Hearts One Roof. I love all of these ideas, and the fact that some are practical and others, more character-driven. 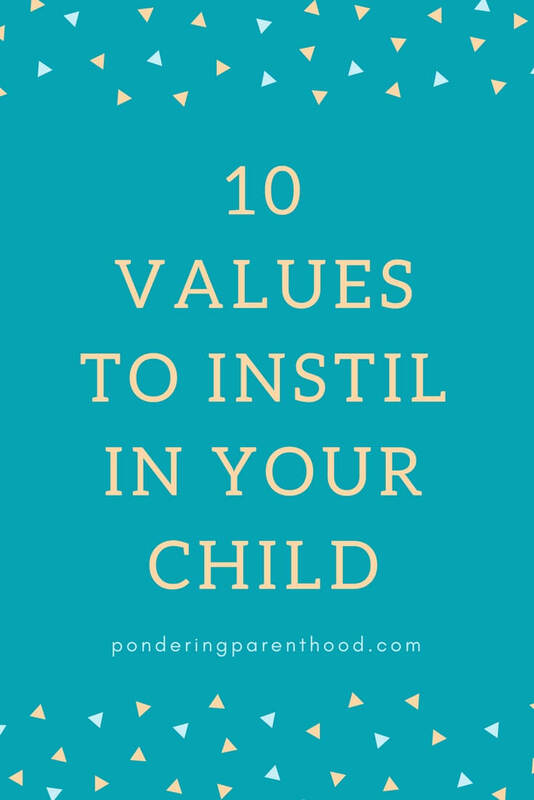 What values would you hope to instil in your child? Disclosure: This is a sponsored post. Like my post? Feel free to share! Pondering Playtime // Hooray for Fish! "8 Mother’s Day Crafts for Toddlers"
"Seeing a Chiropractor to Turn a Breech Baby"